Surface Plasmon Resonance (SPR) is a phenomenon of squeezing light to a tiny volume, causing biomolecules to get trapped across a surface, which in turn enables their study under a microscope. In the recent past, SPRs have been used for drug discovery, material science, and development of biosensors. But now, researchers from the Vanderbilt University have suggested that this tool, also known as lab-on-a-chip, can pave a new way for the detection and diagnosis of cancer, viruses, and other ailments caused by biomolecules, adding whole new revenue avenue for the vendors operating in the surface plasmon resonance market. Formally named as nanotweezers, this novel SPR device has the ability to function with reduced amount of laser power, can trap and stabilize molecules, and allows for studying at high resolutions, which were not possible with previous versions. In addition to that, these new devices can also potentially utilize broadband light wavelengths to aggregate silicon and gold nanoparticles, which in turn will expand its application onto permanent and non-fading color printing. The researchers have used plasmonics in order to construct this one-of-its-kind SPR device that is exceptionally faster in terms of trapping and detecting viruses, molecules, and DNA. Apart from the innovations in the field, the market for surface plasmon resonance is gaining traction from increased public and private investments on clinical research in order to formulate drugs and therapies for a number of chronic diseases that are gaining stronger prevalence with every passing year. In addition to that, increasing adoption of microfluidics technologies in order to reduce the usage of reagents and introduction of advanced imaging software in order to analyze the results are also expected to create new opportunities in this market in the near future. Surface plasmon resonance is a label free detection technique used for analyzing the kinetics of interaction between biomolecules. Of late it has witnessed High traction on account of the benefits this technique offers including sensitivity and high specificity. 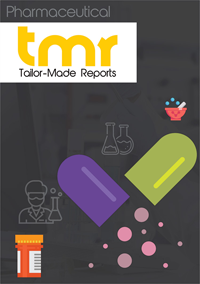 The demand for surface plasmon resonance is extremely high from biotechnology sector, pharmaceutical sector, clinical research organizations, and the food and beverage industry. Across drug Discovery, biosensors for my and Material Science, surface plasmon resonance technology is used for determining the Affinity of a reaction, identifying The Binding specificity of two or more molecules, as well as for measuring the dissociation as well as Association rates. Therefore it is not surprising that the growth of the surface plasmon resonance market is witnessing a positive outlook in the years to come. The application of surface plasmon resonance for the development of point of care devices has long been the focus of market players. Players are however, met with challenges such as difficulty in mass fabrication of durable metal nanostructure on the substrate and high cost. One of the key trends that can be seen in the surface plasmon resonance Market is the growing adoption of microfluidics techniques for lowering the consumption of reagents. Another friend that is influencing the market is the introduction of advanced imaging software for the analysis of surface plasmon resonance. In the US, there are extensive Investments carried out consistently for the research and development of surface plasmon resonance system. This would also have the market to grow in the region. One of the chief factors boosting the growth of this Market is the rising adoption of label-free detection techniques as opposed to label detection techniques. This is majorly due to the cost effectiveness of Label free detection techniques. The availability of versatile surface plasmon resonance systems is another Factor behind the growth of this market. On the other hand the emergence of alternative techniques for the detection of protein will act as a threat and hamper the growth of this Market. In addition to this High Cost of product will also deter surface plasmon resonance systems from being adopted on a large scale. Geographically, this report splits the surface plasmon resonance market into seven regions: the Middle Atlantic, The West, Southwest, New England, the South, and the Midwest. The report mentions which of these regions will witness maximum growth, and which will witness sluggish growth. The fastest growing regional segment is also revealed. GE Healthcare, Biosensing Instruments, Bio-Rad Laboratories, Reichert Technologies, and Horiba are some of the key players operating within the U.S surface plasmon resonance market. The business and financial overview of each of the companies along with information on the mergers and acquisitions have been given. The challenges faced by them as well as the strategies adopted by players are revealed in the report.